Disclaimer: I received one or more items mentioned in this blog post for free or at a reduced price in exchange for my honest, unbiased review. All opinions are my own. There are also links to products I recommend from companies I have a referral relationship with. I will be compensated if you make a purchase after clicking on my links. 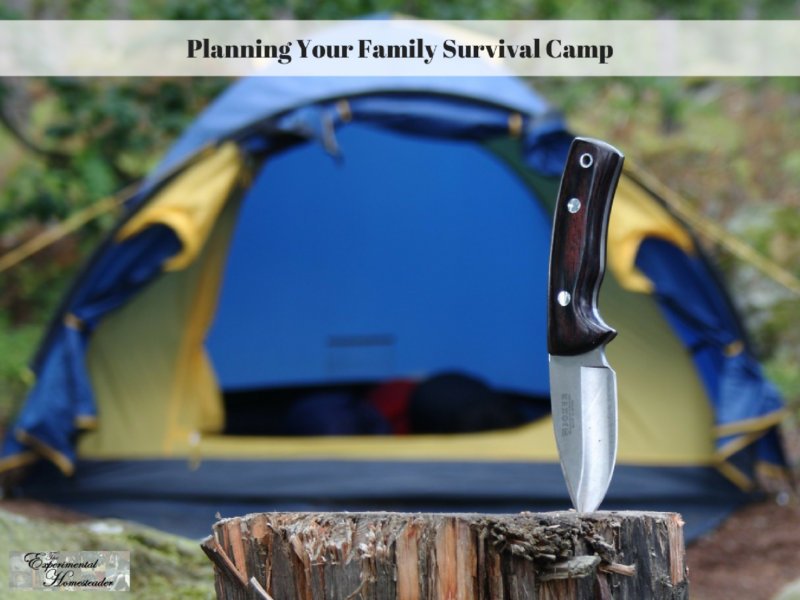 A family survival camp is a place that you can set up that will allow you and your loved ones to stay safe while you wait out any disastrous event. In order to thrive at your camp, there are certain items that you’ll need such as the #survivaltoolcldbrands Camping Folding Shovel Pick With Compass. You’ll need the basics such as food, water, warmth, shelter and first aid. You’ll want to make sure that you have the food to feed each member of your family for a few days and a plan in place to provide for long term food needs such as hunting or fishing or living off the land. You’ll need water that you can take with you and water purification tablets to purify water that you find once you settle at your camp. All of these items can be easily stored and transported in individual backpacks or bug out bags. Don’t wait until shtf to choose a campsite, pack your items or even think about your escape route. It’s too late at that point and even if it isn’t I guarantee you won’t be thinking clearly enough to not forget something important. Pack a first aid kit and include medications that anyone has to take on a regular basis. To provide warmth and a way to cook, you will need items to start a fire with. You can use a waterproof lighter or waterproof matches and tinder. A flint is a good idea too. Some people choose to take a portable camp stove along, but these eventually run out of fuel so keep that in mind. Take communication devices such as cell phones with you and use a solar powered battery charger to keep the battery charged. Bring a battery or solar powered radio so you can listen to emergency broadcasts. You may want a headset too depending on the situation so your whereabouts are not easily detected. Remember if the grid goes down and none of these items work you are going to need another plan to stay on top of what is happening around you. Don’t forget personal hygiene items and toiletries. Also pack a foldable shovel to use for digging for sanitation purposes. I recommend the #survivaltoolcldbrands Camping Folding Shovel Pick With Compass. This Camping Folding Shovel Pick With Compass is exactly what you need for a survival situation. It has a compass to keep you from losing your way. It folds up so you can put it in your bug out bag, backpack or vehicle. It has a dibble pick and saw plus a bottle opener. These are all important items to have with you when you are off-grid. They also work great in the garden. When folded up it is just 6 inches but expands to 16 inches when assembled. I love the nylon camouflage carrying pouch too. It makes it easy to carry by itself if you need to. The pouch will hook on your belt or you can use the wristband to keep it secure. This is a great item that I am glad I finally chose to add to my bug out bag. It is sturdy, durable and easy to assemble and use. Keeping one in your vehicle for those emergency situations when you need to dig your vehicle out is a great use for this too and it makes a wonderful gift item. Besides the items mentioned above, you’ll need flashlights, headlamps and lanterns. Bring emergency blankets, sleeping bags and tents. You’ll also want to have a multi tool and storage bags for the water you may have to gather. Bring weapons to protect yourself and your family. Put your ammunition in some type of bag or container so it stays dry. Don’t forget to pack your gun cleaning supplies. This is not the time for mis-fires. Kids usually like camping and instead of a stressful time, you can treat it like an adventure. Plan fun activities for them. Just because you’re in survival mode doesn’t mean that you can’t enjoy the time together as a family. Be sure to go on nature walks if it is safe to do so, let the kids help with preparing the camp, the meals, take them fishing, go wading or swimming if there’s water nearby, the weather permits and it is safe to do so. Set up a treasure hunt for them or have them trace items they find in nature in a sketchbook. Be sure to pack hot dogs and marshmallows to roast. Pack a disposable camera for them to capture family moments. The kind of activities you get to do with the children will depend on the type of camp you set up. An emergency base camp is usually set up quickly and is usually just a stop over place until you can move to a better base location. In this event it is unlikely that you can do the fun activities with your kids. Nomadic camps are prearranged places you have planned to set up camp. Friends and loved ones often prepare for survival situations together. Having people camp together offers many benefits to everyone in the group. However make sure you are all on the same page and understand the plan. In a true survival situation this is the key to coming out alive. Having a cabin or a pre-built shelter somewhere away from your home can offer a more permanent shelter for a longer stay. These are usually shelters with very primitive conditions. Some of these shelters are underground. In this case you can fill your shelter with the supplies you need ahead of time so all you have to do is get you and your immediate family there. When you’re at your survival camp, it’s important to keep on track with managing your daily activities. You want to keep to a routine as much as possible – especially if you have children. If school is in session, then you want to schedule educational time. Sticking to a routine will help you feel less stressed out and will give you some semblance of order during a difficult time. Keep in mind, in a true survival situation you may be on the go. Your bug out bag is the most important item so make sure what you choose to put in it is essential. All the extras should be left behind. They will only add weight to the bug out bag, cause stress and slow you down. Get to where you need to be and take it from there.